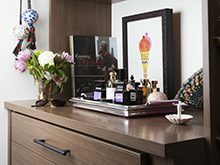 Honestly WTF co-founder and editor-in-chief Erica Coffman has a discerning eye for details. 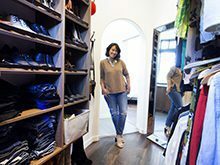 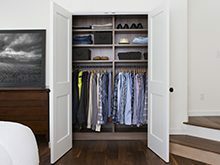 When she and her husband started renovating their Oakland, CA home, they realized that several of their closets needed complete re-conceptualizing to support their everyday needs. 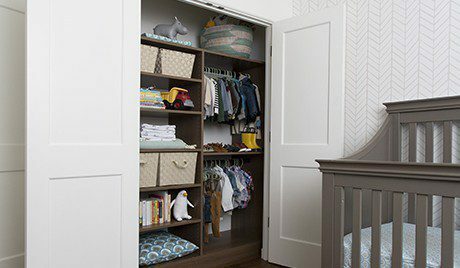 Collaborating with San Francisco California Closets design consultant, Paige Gordon, Erica set out to tackle her storage challenges. 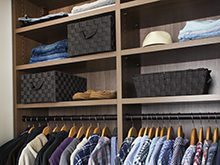 Working with a number of key closets in the home—including Erica's walk-in closet and her husband’s reach-in closet—Paige and Erica decided on high-end finishes and details like Oil-Rubbed Bronze accents and undermount soft-close drawers to create a custom look and feel. 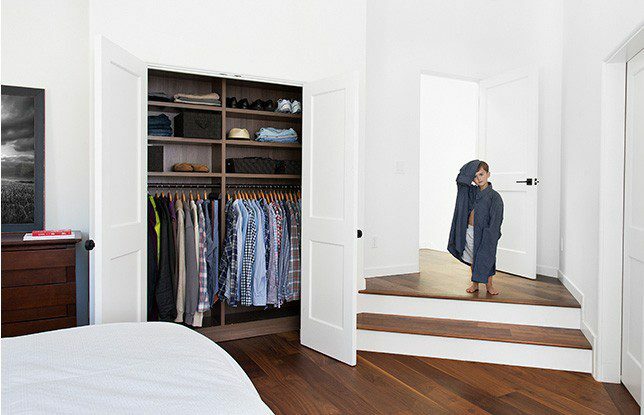 Tilted shoe shelves and hooks installed behind the closet doors helped to optimize each closet space even further. 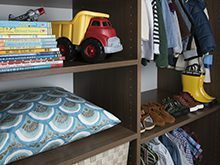 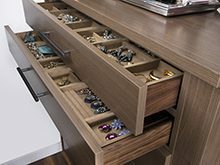 Once her custom closets were complete, Coffman relished the opportunity to organize her belongings in more efficient, streamlined spaces designed for her specific needs and lifestyle.